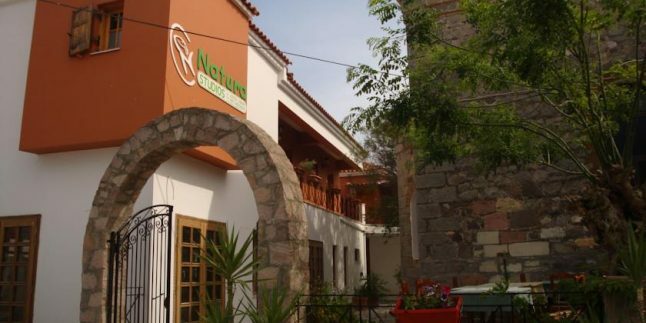 Located at Skala Kallonis Village, Natura offers a garden with plants. It features air-conditioned accommodation with a balcony. Free Wi-Fi is available in public areas and in some studios. Facilities include an ice cream shop. Overlooking the village, all units of Natura come with a TV. Each has a kitchenette with cooking hobs and microwave. The popular village of Petra is 20 km away and Mithymna Town with its castle is 24 km away. The town of Mytilene with the island’s main port is at a distance of 42 km and Mytilene International Airport is 49 km away.